Finance Minister Arun Jaitley on Tuesday said the usage of technology by the Income Tax Department has reduced human interface between assessees and tax officers and helped eliminate malpractices. “Already about 3.6 crore returns have been processed through this medium (CPC) and 1.4 crore assessees have been notified of their refunds. Also, refunds have been given to them using this very medium,” Mr Jaitley said in the YouTube channel of the Finance Ministry. The Income Tax Department has already started electronic tax assessment, under which queries are sent to assessees through e-mail. Assessment Orders are also now available through the electronic medium, except in a few cases of scrutiny, he said. “This has brought about a sea change in the functioning of the tax department. There has been electronic interface. There is no physical face-to-face with the Assessing Officer. This has hugely increased the level of convenience, this eliminates malpractices and is extremely assessee-friendly,” he said. 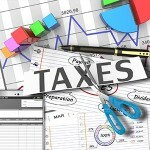 Industry body Assocham has asked the government to increase the personal income tax exemption limit in budget to Rs. 4 lakh from Rs. 2.5 lakh for all individual taxpayers. The industry body also demanded additional incentives for savings and higher tax allowance for expenditure on education and health, quoting findings from its survey. The industry chamber also recommended a hike in personal IT exemption limit to Rs. 4 lakh in its pre-budget memorandum. “The higher exemption limit was necessitated by increasing cost of living, particularly with regard to health, education and transport,” it added. Besides, noting that the amount of medical expenses reimbursed by the employer on treatment of employees or their family members is exempt from tax to the extent of Rs.15,000 per annum, 88 per cent of the respondents advocated hiking the limit to Rs. 50,000 per annum as the present threshold was set way back in 1998. Similarly, deduction of Rs. 15,000 under section 80D for payment of medical insurance premium was set in the year 2008. In order to encourage and bring more people under the health insurance umbrella, the deduction should be increased to Rs. 50,000, said majority of the respondents. The poll was conducted in cities like Delhi, Mumbai, Kolkata, Chennai, Ahmedabad, Hyderabad, Pune, Chandigarh, Dehradun etc. About 500 employees from different sectors were covered by the survey from each city on an average. Majority of respondents said leave encashment exemption limit for tax calculation should be raised to Rs. 10 lakh as the current limit of Rs. 3 lakh was notified by the CBDT way back in 1998. Also the children education allowance exemption limit should increase from the present Rs. 100 to Rs. 1,000 per month. Likewise, the hostel expenditure allowance which is presently exempt up to Rs. 300 per month per child for maximum of two children be increased to Rs. 3,000 per month, Assocham said. Over 72 per cent of the respondents said rising interest rates on home loans and skyrocketing property prices call for doubling the exemption limits for interest on self-occupied property to Rs. 3 lakh from Rs. 1.5 lakh set in 2001. The Reserve Bank today appealed to the income tax assesses to pay dues in advance of the due date as well use alternate channels of authorised banks to avoid the rush during end of March. “Pay I-T dues in advance at RBI or at authorised bank branches. Appeal to income tax assesses to remit their income tax dues sufficiently in advance of the due date “, RBI said in a release. RBI said assesses can use alternate channels like select branches of agency banks or the facility of online payment of taxes offered by these banks. 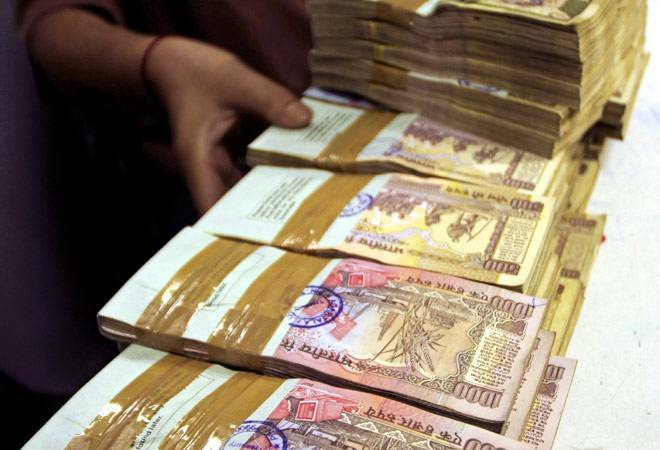 A total of 29 agency banks have been authorised to accept payments of Income-Tax dues. The authorised banks include SBI and its five associates, HDFC Bank, ICICI BankBSE -3.10 %, Axis, Bank, Punjab National Bank, Bank of Baroda, Bank of India, Indian Overseas Bank. Among others are Corporation Bank, Dena Bank, Canara Bank, Central Bank of India, Syndicate Bank and others. RBI said by remitting dues at the designated banks will obviate the I-T assesses’ inconvenience in standing in long queues at the RBI Office. Lord Meghnad Desai, the Indian-born, British labour party politician has made a strong case for abolishing Income Tax and instead made a strong case for a Consumption Tax. Lord Desai said in his address to students at the Meghnad Desai Academy of Economics. “Instead, the government should introduce a consumption tax, which would ensure that everyone is taxed.” The move he said would also ensure that savings are not taxed. Besides, a Consumption Tax will work more efficiently since it cannot be as manipulated as Income Tax he added. However another panel member Ajit Ranade, group chief economist, Aditya Birla group countered that Consumption Tax tend to be regressive impinging more on the poor. However, the government has a lot of no-go areas when it comes to collecting revenues, he noted. Among others, there is a constitutional provision which says that the government cannot tax the agricultural sector. Don’t respond to any email received by you in the last few days from the Income Tax (I-T) department asking you to share details of your bank account, credit card, PIN, etc. so that the department can transfer your tax refund due to you. At a time when people are busy furnishing their investment details to the tax department to get exemptions, a large number of taxpayers have received fake emails masquerading as the one from the I-T department bearing its official logo, assuring refunds. To avail the sum, one shall have to furnish mobile phone number and bank details. The emails mention that refunds are due to these taxpayers and all the amount are above Rs 20,000, which is anyway tempting. The letters attached with the mails are so nearly perfect that it’s almost difficult to identify it as a fake one. Delhi-based Chartered Accountant Abhishek Aneja, received such a mail from “Income Tax Department” offering him a refund of Rs 25,646.44. “At the first go it’s very difficult to identify it as an act of fraud, especially for a common man. Since, I deal with Income Tax as a practitioner, it wasn’t difficult for me to differentiate it from a genuine one from the department. But, it’s dangerous, as this email asked for mobile verification, the fraudster may take the mobile number and then ask the person to put his bank account details including password to hack the account,” Aneja told Firstpost. The glaring difference between a real email ID and a fake one is that I-T mails are generated from the domain of ‘incometaxindiaefiling.gov.in’, whereas these mails sent to various people were generated from fictitious ones like: ‘concreja@server97.neubox.net’, ‘hyperwe@s201.panelboxmanager.com’, etc. “This type of fraud comes under phishing. Whenever the I-T department gets to know about any such fake attempts to dupe taxpayers, it takes action. If any email is sent through fake IDs, the department takes help of its IT (cyber) cell—first to block it and then initiate action by tracking roots from where such mails have been generated. Even the IT department in its website has posted precautions and advisory related to fake emails, fraudulent practices in the name of Income Tax to dupe taxpayers. Earlier, there had been instances, where taxpayers lost their money by responding to such lures,” a senior I-T official told Firstpost, seeking anonymity. Phishing is the process of attempting to acquire sensitive information such as usernames, passwords and credit card details by masquerading as a trustworthy entity in an electronic communication. It is typically carried out by e-mail or instant messaging and it often directs users to enter details at a fake website whose look and feel are almost identical to the legitimate one, like it has happened in the case of I-T department. “The Income Tax department doesn’t ask for personal financial details through email. There is an advisory on Central Board of Direct Taxes (CBDT) website regarding this. We’re forwarding the information given by you to the department concerned for necessary action,” Shefali Shah, principal commissioner (Income Tax) & spokesperson, CBDT told this correspondent. This is not the first time that taxpayers have received fake emails. In September 2015, a fake letter with official logo and designation was circulated and posted on Facebook mentioning that “the date of filing of audit report and the return of income for the Assessment Year 2015-16 has been extended from 30 September to 15 October”. In fact, it was not and the last date was as usual 30 September. Firstpost was the first to report on it and the CBDT subsequently issued a cautionary note to the taxpayers and tax practitioners. “It took me some time to realise that it was a fake email and I got it confirmed from my tax consultant. Any common man may get duped. The I-T department should mention the warning in bold letters on the home page of its website, rather than at the bottom. Unless, one accesses the ‘Disclaimer’, it’s not possible to read the advisory. More public awareness through newspapers and TV channels should be created to save people from fraud communications,” said Noida-based Rajesh Tiwari, who received a refund claim of Rs 24,136.20 through email. So, next time you receive any such fake mails or find a website you think is pretending to be that of the Income Tax Department, forward the e-mail or website URL to phishing@incometax.gov.in. For salaried employees, their contribution towards employees’ provident fund qualifies for deduction under section 80C. In addition, there is an array of investment options to choose such as public provident fund (PPF), national saving certificate, life insurance premium, five year bank fixed deposits, post office time deposit & equity linked tax saving schemes (ELSS) to help you save tax. Let’s look at the three most popular options – life insurance, PPF & ELSS. Premium paid on the insurance policy taken in the name of the individual or his/her spouse/children is eligible for tax deduction. But, this comes with a catch. The deduction is restricted to 10% of the sum assured or premium paid whichever is lower for those policies issued from 1-4-2012. For instance, if the policy was taken in April 2012 and the premium paid was Rs 60,000 for the sum assured of Rs 400000, the deduction would be restricted to 10% of the sum assured ie 40,000. Hence, out of Rs 60,000, one will be eligible to claim deduction of Rs 40,000 only. Guaranteed return and the highest safety for the investment drive investors towards public provident fund (PPF) despite a 15 year lockin. It is backed by the Government of India. The interest rate is set every financial year, benchmarked against the 10 year government bond yield. Currently, the interest rate of PPF is 8.70% compounded annually. It also falls under Exempt –Exempt – Exempt category i.e. 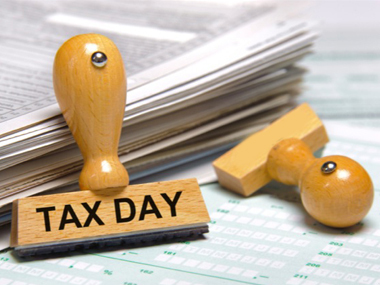 tax exemption under section 80C for investments up to Rs 1.50 Lakh, the interest earned is tax free and the accumulated amount on maturity is also exempt from tax. Similar to a mutual fund SIP, one can space out the investment over a 12 months installment in a year. Unlike other investments, PPF account enjoys privileged status and cannot be attached under any court order with regard to any debt or liability of the account holder. ELSS, also known as tax saving funds, have been gaining traction among investors due to potential higher returns, impressive performance track record and lower lock in compared to the traditional investment options. ELSS is primarily an equity oriented diversified fund ideal for those willing to take market risk and volatility. It comes with a lock in period of 3 years, the lowest among the tax saving schemes. It offers you the twin benefits of potential upside of capital appreciation and regular income through tax free dividends. From a taxation stand point, the capital appreciation is eligible for long term capital gains tax benefit which makes it a tax free gain. Although there is no certainty in returns, Historically, equities have outperformed most of the asset classes like debt, gold by a significant margin making a compelling case for diversifying a substantial part of your investment in ELSS. The top 10 ELSS funds have generated an average return of 18% & 13% compounded annualized return over a trailing 3 and 5 year periods respectively. While there is no upper limit, investments up to Rs 1.50 lakh per year is eligible for deduction under section 80C. Last but not the least, one can get additional 50,000 exemption under Section 80CCD by investing in New Pension Scheme (NPS) taking the total tax exemption upto Rs 2 lakh in a financial year. The scheme is open to every Indian citizen between the age group 18 – 60 years. Investors have three options to choose ie equity, corporate Debt and government securities based on individual’s risk perception. Expense ratio of the scheme is 0.01%, one of the world’s least cost investment options. However, some of the major disadvantages are – withdrawal allowed ONLY upon attaining the age of 60 or in case of any unforeseen circumstances, maturity amount taxable at the time of withdrawal & 40% of the NPS maturity must be mandatorily used to buy an annuity which is again taxable. One can consider a part of their investment in this offering, if they are in the younger age group with a very long term horizon to create wealth. Income Tax Department has identified 4,000-5,000 foreign companies based in this megapolis that are not paying taxes on time, including due to tax disputes, and expects to soon recover from them dues totalling nearly Rs 8,000 crore. “We are trying to collect the tax due from foreign companies. In Mumbai alone, there are 4,000-5,000 foreign companies which are not paying taxes properly,” principal chief commissioner of income tax and head of the Mumbai region, DS Saksena told PTI here today. Reserve Bank Governor Raghuram Rajan had last week said that multinationals were also responsible for tax controversies, saying their indulgence in avoidance as well as evasion results in prolonged battles. “Occasionally there is government excess, but they are not the only ones who commit excesses,” Rajan said while delivering the 13th Nani Palkhivala lecture on ‘Strengthening the free enterprise’ here on February 4. “Multinational corporations complain all the time of excessive demands about excessive taxation, but it is also true that MNCs across the world tend to find tax avoidance and sometimes tax evasion as appropriate techniques and therefore, there is a constant fight between government and MNCs,” Rajan had said.